This is the time of year when parents start grabbing cold weather clothing out of the closet for their kids to try on to make sure it still fits. How many moms or dads have had their kid put on sweatpants for the first time since summer and they are now ankle pants? The same thing happens with winter coats and pants. Kids go and put them on for the first time since last spring and they don’t fit. What if I told you a lot of our youth cold weather coats and pants at SCHEELS have something called “outgrown or grow with me” technology, which helps your children’s clothing grow with them? So you might be asking, what is that? And how does the coat and pant grow with them? Inside of the coat sleeve or pant leg, you will see an extra bit of fabric, which is usually sewn in with a contrasting color of thread so it stands out. All you need to do is snip this thread and pull it out. This allows the arms of the jacket to grow by 1.5” and the legs of the pant to grow by 2”! Winter coats are made to be worn multiple seasons, not just one and done. By using the “outgrown or grow with me” technology, you are able to extend the use of the jacket. Not only for when your children grow during the spring and summer, but if they have a growth spurt during the winter season as well. Having a proper fitting coat is important, no matter what age! It is essential to keep the elements away from your body and be able to layer properly to stay warm. 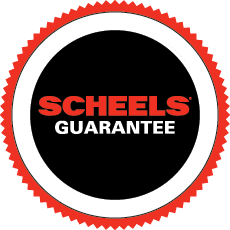 Stop in to your local SCHEELS to see the variety of jackets and pants with the “outgrown or grow with me” technology and talk to a SCHEELS Expert to find what jacket or pant will be best for your children this winter season.